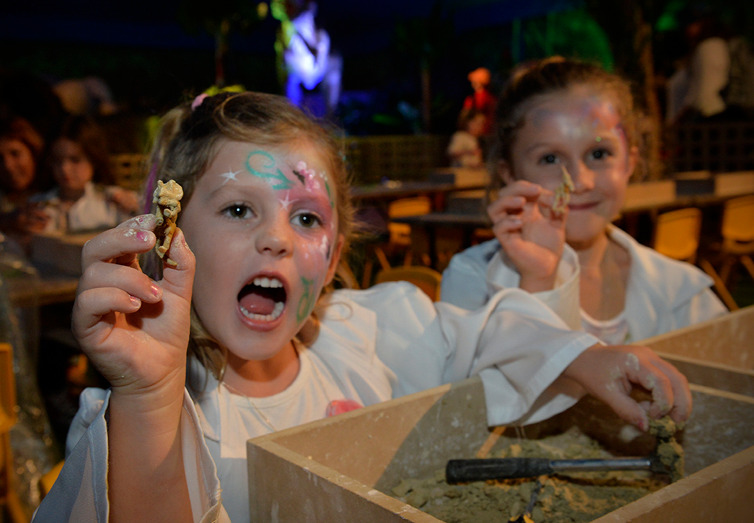 Six Little Hearts: Dinosaur Adventures Comes to Melbourne - Win A Family Pass to Attend the VIP Opening Night! 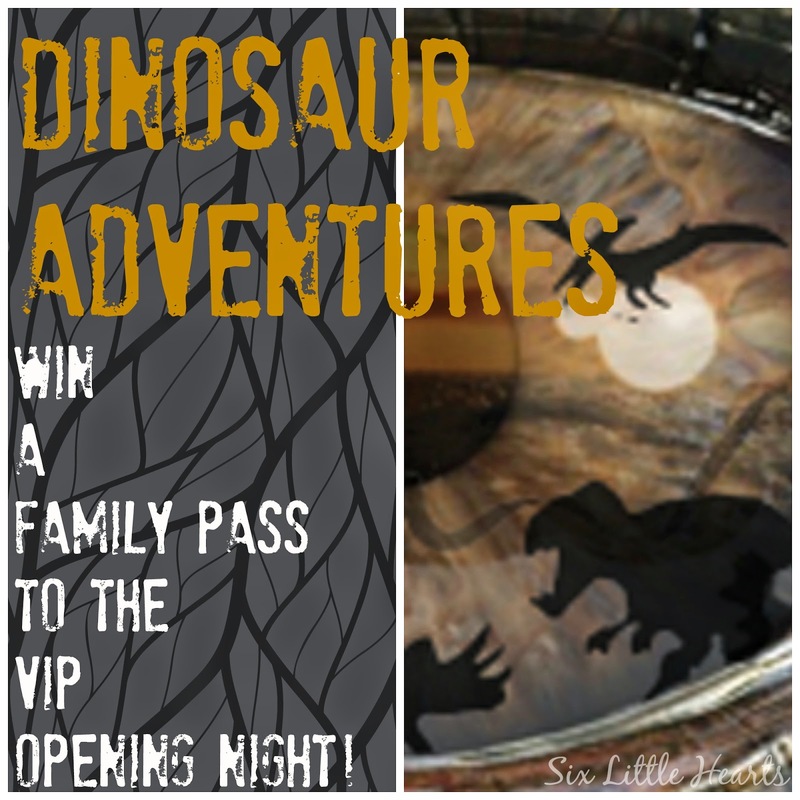 Dinosaur Adventures Comes to Melbourne - Win A Family Pass to Attend the VIP Opening Night! Got some dinosaur obsessed kids at your place? ...Read on! Really, what child is not obsessed with dinosaurs? Adults too, continue to hold a fascination for these magnificent creatures and with good reason. 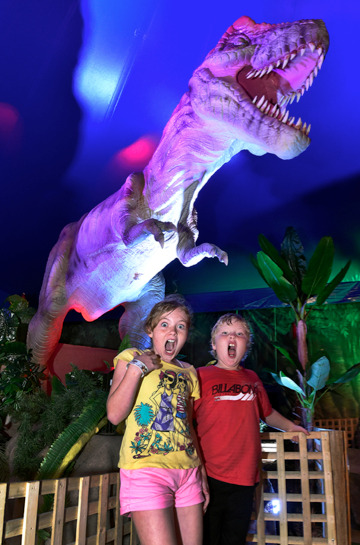 I am excited to to be announcing the arrival of the spectacular Dinosaur Adventures show here on the blog, which launches in Melbourne at Caulfield Racecourse on June 21st and continues through until the 20th of July 2014. 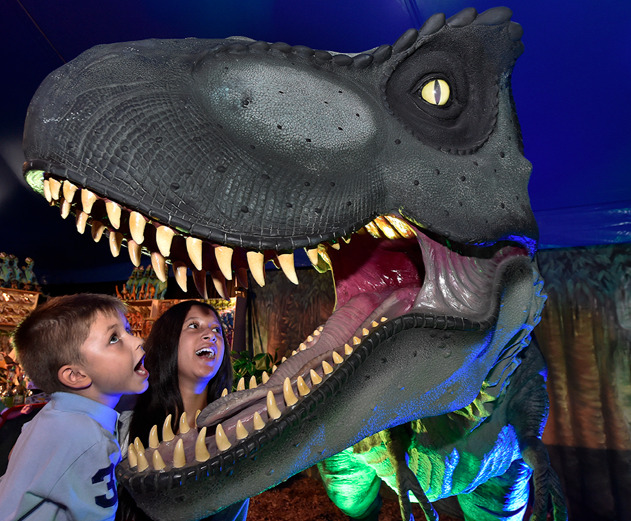 Dinosaurs Adventures was the number one attraction at the Sydney Royal Easter Show and by popularity, will travel to Melbourne to thrill audiences here. One lucky family even has the chance to attend the Melbourne VIP Opening Night on Friday June 20th from 6.30pm - 9.30pm. 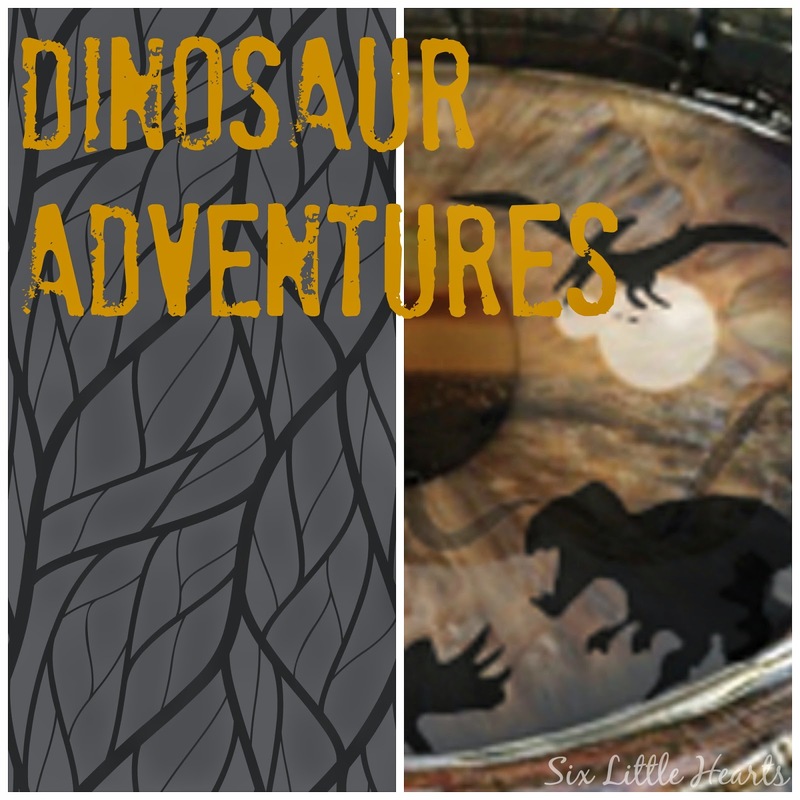 Dinosaur Adventures is an amazing animatronics extravaganza where life-sized dinosaurs come to life, roaring and stomping to thrill and excite an audience of all ages. The spectacular exhibition features impressively sized dinosaurs with realistic and exciting animatronics. Watch dinosaurs move and hear them roar, venture into their 200 million year reign over life on Earth and experience a captivating set of additional entertainments and attractions set to delight everyone. A realistic animatronics dinosaur exhibition. Have your photograph taken inside a dinosaur egg. A superb dinosaur excavation site where kids are invited to become a Palaeontologist and dress up to excavate their very own fossil. Dinosaur inflatable activity fair with rides and more. You can find out more about this exciting exhibition landing in Melbourne in time for the school holidays by visiting the Dinosaur Adventures official website here. General admission ticket prices to this event are $27 and under 3's are free. Tickets are available through Ticketek. Find the direct link here. Venue: Caulfield Racecourse, Station Street, Caulfield East, 3145. Keith Brown, Dinosaur Adventures Director. Thanks to the generosity of Dinosaur Adventures, one lucky Six Little Hearts reader will win a Family Pass to this exclusive event valued at $108! Entry is easy. Just follow the prompts using the Rafflecopter App below. (App may take a few seconds to load.) Please note: Two of the entry requirements are mandatory so be sure to follow the easy steps to ensure all of your entries count. Please play fair as others do take the time to complete all of their entries. Entry is open to residents of Melbourne, Australia only. The winner will be notified by email and given 48 hours to respond. Total prize value is $108 and is for one family pass to the VIP Opening Night. Prize cannot be transferred or exchanged or redeemed as cash. The winner's details will be forwarded to Dinosaur Adventures for prize distribution. Six Little Hearts is not liable or responsible in any way or form for prizes that are not delivered by a third party or arrive damaged or late. That looks great fun! Alas, we're too far away! This all looks so exciting! Wow, what a fantastic looking exhibition. What a pity it's not in Brisbane! My girls are fascinated by Ross from Friends and his job working with dinosaurs, they would love to go on a dinosaur adventure! !